(A) During the times of the day when parts of the landscape or a scene are hidden in shadows, and you’d like to show more detail in those areas instead of them being blackened out or dull. This will give more detail, color, and focus to these areas. (B) When shooting a building, and alley, or a tunnel; among other things, where you want to be able to see into the shadows, and/ or bring out detail in any darkened places. (C) Any time you want to add more depth, texture, and detail to all sorts of photographic situations whether there are Shadows or Not. **To let you know, we are an affiliate site, and do receive commissions from any sales that you may make from our site. You are not obligated to do so! Don’t feel you are. We do appreciate any purchases you would happen to make from the links on our website. ** Thank you for reading our posts and we hope you become a regular. HDR stands for High Dynamic Range, and the way you achieve this is to take multiple bracketed images; one shot with the correct exposure, and two to four more with at least one under exposed, and one over exposed, and this works best if these shots are 1 1/2 to 2 stops higher or lower than the correct exposure. Now that is if you are only bracketing one over and one under exposed. I like doing five shots each one being 1/2 stop to 2 1/2 stops over and under exposed, with varying stops in between to give more variation in the detail and the color. Then after you select the images you are going to use and open them up in programs such as Lightroom and a plug-in for Photoshop called HDR Efex Pro, and after you do some pre-HDR-generating editing in a slider window you depress the generating button, and after several minutes the compiled image appears. Waa’la, you have yourself an HDR image! From there you can post edit in your favorite editing software, and your new masterpiece is finished. Abandoned Warehouse by RR. Tracks in Keyser, using HDR editing. One of the first. photographic editing workflow, and helps to produce images other wise very time consuming to do using selection and adjustment tools in Photoshop and Lightroom to achieve similar results. I believe HDR (High Dynamic Range) renders the photograph with extra detail, color and depth not possible with the longer editing workflow’s. photographic editing workflow, and helps to produce images other wise very time consuming to do using selection and adjustment tools in Photoshop and Lightroom to achieve similar results. I believe HDR (High Dynamic Range) renders the photograph with extra detail, color and depth not possible with the longer editing workflow’s.To be honest my first results may not exactly be the greatest examples of what is possible with HDR, so lookout for further articles here, and watch the photographic magazines, there are always articles that HDR is part of the subject line and will show some really good photographic examples of HDR’s benefits. There are many other photographic HDR producing programs for you to check out, such as HDR soft’s Photomatix Pro, which Cheyene Rouse of Ancients Lights Gallery fame used when discovering HDR for herself?. Plus, Photoshop CS 5 and Photoshop CC (Creative Cloud) have HDR built right in; along with Nik’s HDR Efex Pro, EverImaging: HDR Photo Pro, Unified Color Technologies, HDR Exposure as a stand along or a plug-in for Lightroom or Apple’s Aperture. That is a lot to choose from and any of these programs will give decent results. It really comes down to preference and money, I guess. For aspiring photographers we usually operate on a shoe-string budget, and a lot of fancy editing tools, and a computer with the speed and so much memory that we can operate booque programs are just not in the cards for us. Now back in 2010, Rob Sheppard found he liked Nik HDR Efex Pro best as he stated in his article “Special Techniques for Landscape Photographers.” I believe back then there was a fee to access the plug-in. Now a days, with it being free, I find it the way to go for any newbie, or for people looking to save money. And who doesn’t want to save $Money. Little Over Saturated. Not Natural Looking! When I first used HDR I only had Lightroom’s program to use and found it works well, and then I heard about Nik’s HDR Efex Pro. Being Free, I wanted to check out all the filters and programs they had in the download. Efex Pro’s HDR plug-in to Photoshop has some enhancing sliders to use to generate results some what different to other programs. My first attempt at using it I probably over did the enhancements and the image (Left) isn’t exactly natural looking. With practice it gives a photo all the detail, brilliance, and vibrant color you want; and you can still keep it looking natural, and Not looking over the top visually. I recommend going easy on the pre-generating edits and at least doing a little post editing to give the photograph all the corrections and flare that it deserves. I have played with the couple HDR generators I have at my disposal, and find it does give a tool I am using more often. Through the use of the software I have made some dramatic and extra interesting photographs from ones that other wise would have been just so-so. And you can to. I am referring to ones like the photograph at the beginning of this writing (article). The tree was hidden by shadow in anything I could capture without the sky being totally washed out. One of the professionals I give Kudo’s to is Cheyene Rouse. I like the project she has done assembling the Ancient Lights projects. When she found HDR she made the comment “With HDR, I knew I had found a process and a program that was not only friendly, but would transform these relics of the West and render them the way I saw each one when I was photographing them”. She made the comment in the June 2011 OutDoor Photographer magazine article “Stoking the Fire” on page #58. The Ancient Lights project depicts the culture, and the items used back in the Old West, and not so new West, shining new light on them for future generations to experience if only in their minds and the images of Cheyene Rouse. Lightroom HDR that looks very close to how I saw the scene. This image of a pond and land in the valley across from it during Sunrise, is an HDR I did just a few days ago, to practice getting my HDR looking more like what we’d see when being there in person. The way I achieved this was by going easy with the pre-generating editing sliders. It has a little extra green, but not unusually so. You can give your images this type of impact, too. Try adapting High Dynamic Range (HDR) to the types of photography you think you’d benefit by applying it to. Bracket several images both at your meters correct exposure, and ones over exposed, and some under exposed, and then click on all three and hit the merge file, in Lightroom, and then HDR which will merge the images, and then an editing window will pop up and just do some minimum editing (or a lot) hit the generate HDR button, and there you’ll have it, an HDR image to be post edited in some of your normal ways. Give it a Try! Never be afraid to try new things! If we didn’t try new things we would have never learned to walk. One last repost of this article for the Christmas Holiday! Merry Christmas EveryOne! & A Happy New Year! Hope this posts finds everyone’s heath good and strong and your spirits even stronger! PS: I hope to do another one of these articles on HDR, and go through all the steps I had taken in generating some nice HDR photographs to show you each step. With pictures of screen shots and all. Possibly to I may just create an E-Book of my editing technics to purchase. Let me know if this would be helpful to you? If you are a bird watcher, or a nature photographer that wants to focus on birds it helps to be very familiar with your camera, and the subjects you are trying to get lasting images of. Getting good pictures of the avian species can be difficult. There are a few extreme conditions that usually arise to get shoots of birds out in their natural habitat.Most birds in the natural world are very cautious of all other animals, other avian species, and naturally humans. I started by taking pictures of birds near bird feeders, or in places where they are more comfortable around humans to avoid some of the difficulties that we may encounter in the wild. Also, This is a start to learning about the types of food certain species eat, and their habits and behaviors. Artists, and photographers are more successful when they know about the subjects they are taking images of, and are involved in some way with that subject. Like being involved a bird watching club, helping at a local park, and knowing the subjects well enough to do a lecture series that includes your own photographs. During my Digital Photography class at Anne Arundel Community College, in the historic and charming state of Maryland, I had started feeding birds on our second story deck at our home in Annapolis. I found it interesting seeing what different types of species might feed there, and the ways that the birds interacted. I also try to shoot in the manual modes to have more control over the out come of the photograph. The picture above was taken during that class while doing our lessons on depth of field. I used a Nikon D60 and a Tamara 28-300mm zoom : zoomed in at 200mm with camera settings of an ISO of 400, a shutter speed of 1/400th of a second, and an f-stop of 5.6 to capture the image of the Titmouse at the beginning of the article. The lower f-stop and a long focal length blur’s out much of the back ground and foreground to make the subject stand out in the photograph. In many books and articles I have read about photography, and animal and bird photography specifically, they say that the best images that interest people and are candidates for publication are void of feeders, the seed or suit that attract the beautiful and interesting subjects that we are photographing. When taking the image of the titmouse I took this into account and kept taking shots of it until it moved away from feed I had spread on the railing of the deck. The more interesting the photographs the more attractive an article is to the reader. This photo of a mallard at Jonas Green Park, across the Severn River from the Naval Academy, was taken during my class at AACC during our studies on perspective. I was actually lying on the beach, to get in a position that most people are not looking at ducks from. People are even more attracted and interested in birds and animals taken in the wild, or natural settings. This brings up some other situations that need addressing, and with some help and foreknowledge from experts and seasoned nature photographers you (WE) can avoid some of the problems before they are encountered. Getting good pictures of birds are made difficult by extreme conditions in the outdoors, and the skidish nature of birds; although, there is always a learning curve with any new adventure we start, including venturing into the wilderness and bird photography. Here are some things to be aware of when venturing out. Focusing your digital marketing campaign on smart devices users is an incredibly wise move. People today rely on their smartphones to browse the web and do a lot of online shopping, and customer engagement is much more convenient if a website is optimized for these devices. If you want users to share your products and content online, you can use different tactics to motivate them, e.g. sharing might give them a chance to participate in your customer incentive campaigns. In this case, you will have a lot more responses if you allow them to share by simply tapping on the screen a few times. It is important to know that digital marketing for smart devices is not the same as digital marketing in general. There are some similarities, but not all of the techniques work in the world of smartphones and tablets. So in this article, we will go over some of the tips and suggestions to help you in your campaign and, hopefully, allow you to generate higher user engagement. The key is to rely more on visual elements, so read on to see how. The absolute necessity for smart device marketing is website optimization. You must ensure your website is optimized for smaller screens or otherwise you won’t make any progress on any front. The key to optimization for small screen devices lies in determining what users want. You know very well that reading textual content online is difficult on a smaller screen. You also know that selecting or tapping an on-screen button is troublesome, especially if it is small and very close to another button. So, what should you do? You can make the content more accessible by eliminating the need to click on a particular category and select a page from a drop-down menu. If your homepage contains all of the most relevant products or notifications, then smartphone and tablet users can reach it easily, just make everything that is important accessible by scrolling down. As far as the product is concerned, don’t try to fit in all of the details related to the description, leave a separate page for that. For a smart device user, it is important that the product image is clearly visible, and you need to ensure the image they are presented with is high quality and alluring. Instead of relying on copious and insightful written content, you need to rely more on infographics. Sure high quality written content is great for SEO and for keyword ranking, but for small screen website visitors, these are almost useless. So, you need to allow them to learn things and grab their attention using infographics. Infographics rely more on pictures than on plain text. They use images to illustrate and help users explain some complex concepts, or simply to tell a story. The reason why infographics are more engaging in general is that they can achieve almost the same effect as text. Sure you have more information in the text, but the reader will forget a great deal after he or she is finished, whereas an infographic is more memorable, and it can be used for conveying core concepts. Just remember some of the key points related to infographic design. Start with a really interesting and jaw-dropping fact, or data point, and use all other supporting facts to reinforce and explain some causes and effects of the main fact. Use easy to read and understand typography and feel free to use pie charts or bars to demonstrate statistics, as usual. We have already mentioned that using quality product images is important, but all of your images in the marketing campaign should be high quality and alluring. In other words, they need to be enhanced and edited by a Photo editing company before you share them and put them on your website. The reason why images are held in such high regard here is simple, it is because they will drive the traffic to your website. Images those look awesome on social networks like Pinterest or Instagram makes users more likely to click them and eventually end up on your website. Also, if your images are well-optimized and highly popular, they are more likely to be displayed in search results for a particular search query. This means more bloggers will use your pictures in their content, and more users will stumble upon them. When you create a new post, it should include a good image, because the user doesn’t see the title of the post first, the first thing they see is the photo you used. Lastly, quality images are more likely to be shared and re-tweeted, so if you want the community to participate in spreading your brand awareness, give them something they would love to have on their online wall. Lastly, people who come to your website for the first time will want to know who you are, where you are from, whether you do delivery and those sorts of things. This is usually the kind of information that is located in the “About Us” section of the website. Once again, an extensive piece of text is not something they want to go through, they would rather just click on the play button and let the video give them all the answers. So, in addition to photos, contact someone to make a professional video as well. You can also do this if you sell some complicated products and want users to see a tutorial on how to use it and different ways they can apply it. In other words, next to the written description of the product you should have a video that serves as its commercial. These were the reasons and solutions on how to approach your digital marketing campaign for smart device users. As you can see, the visual aspect of marketing is essential for a good reason, to ensure your products are visible in the first place. So, consider these tips when you are forming your digital marketing campaign. Best Wishes! Use SmartPhotoEditors.com for your photographic editing needs. Giving your Photos more Pop: Helping the Subject standout by Controlling Your Depth of Field with Apertures. Hi, everyone! Finally back again with the follow up to our lessons on using manual settings, and controlling exposure for the best pictures possible. This article is about, depth of field, which is how much of the foreground and background is in focus. If you look at the flower below mainly just the lower pedal is in focus and the edges of the closest upper pedals. The other leaves and stems to the flowers in the background are out of focus, which is a limited depth of field. If you notice, the pistol of the flower is not sharp either and I really would have liked to have gotten the first quarter to a half inch sharp where the pistol is located. Goes to show that bracketing for different settings helps us capture more images to our best liking. A quick refresher, Aperture is the size of the “hole” within the lens that’s created by a movable diaphragm. The diaphragm is made up of a series of metal blades that overlap, allowing them to move be moved opened wider or closed down to the minimum diameter the lens is capable of. We discussed aperture earlier, and went over the numbering system that’s used to designate the different apertures in the article, “The Camera Settings that Control Exposure and How to Use Them: Part 2”. Well, this is a continuation of exposure dealing with aperture, and depth-of-field. For a recap of the aperture; by turning a ring on the lens, or pushing a button or turning a wheel on the camera, will either open or close the aperture or essentially the diaphragm in the lens to let in more or less light. The numbering system seems backward of what you might think, but there is a reason for this, so the lower the aperture number f8, f5.6, f3.5 wider the size of the opening created by the diaphragm and then more light is let into the sensor. The larger the number f22, f16, f11, etc. the smaller the opening and the lower amount of light let in the camera to travel to the film or sensor. You can probably see the logic behind this, that when you are shooting outdoors on a very sunny day, that you want to stop the lens down, or raise the aperture number so you let in less sunlight in the camera. This keeps your picture from becoming too bright or washed out. Of course the opposite goes for taking pictures inside a castle lets say. and you will need more light so you will have to step up the aperture or use a lower number f-stop. Now, these are the general notions you’d expect, although to fully have creative control you need to consider what type depth of field you want to tell the story you’re trying to convey in the photograph you are taking. Consider the picture on the beach, if we are taking a picture of a sandpiper let’s say, to make it stand out, and have the full concentration of sight on the bird, you’ll want less depth of field. To do this you want to use a wider (smaller #) aperture and a very fast shutter speed. This will give the right exposure by letting more light in, and by using a shorter (faster) shutter speed, while also ensuring that the movement of the sandpiper is stopped in the image, and make the photo sharp as long as the focus is correct and the camera shake is minimal. Sandpipers (Sanderlings) looking for their food in the after push of the surf and waves onto the beach. You may think that’s a lot of different aspects to manage for getting better pictures, But with practice, you’ll be glad you took the time to learn all this, and it even becomes lots of fun. Especially when you get the really great shots, and find yourself being asked to take photos for potential clients, or even for your own satisfaction in knowing you got the shot you wanted in that situation. Then, of course, you can show off your photos and get all the nice comments, and people get to see a different side of you that they may not know about. Isn’t that what photography is, a way to record a given place and time; and express what we see, or feelings through our photography. Actually, it will not take much time at all to be proficient or master the use of the manual controls on your camera. Just read these steps again later with camera in hand and go through them while taking several different images; close up, farther back; light and dark subjects, and try taking each setting from, lower depths of field and also with a higher depths of field to create less and more of the picture to be sharp and in focus. I have always wanted to take photographs so that I remember the experience; but more so, I like showing others the things I’ve seen to give them a glimpse into that place and time to experience some of what I saw. So I’d like to ask You to share your experiences with others on Our Photo Community Membership Site. It’s about your thoughts, emotions, and how you see things in the world that makes up your life. That includes your artistic side if you are one to step away from the norm and create or want to create artistically out of the box images that is totally fine with us. I’ve done a little of that myself. We want to share with each other’s experiences, and help each other grow as photographers, journalists, and recorders and storytellers of things we photograph in our lives and the world around us. When we are photographing an experience or an event it will conjure up memories in the coming days, months, and even many years after we have recorded them. Our brains work in different ways, so reminders brought to the present through photographs (and other things, sights, smells, a word or phrase) will give different memories for different people. We sure can get many pleasures out of the photographs we take by re-experiencing those moments however long after that moment that we took the picture. We have the ability to tell a whole story through photographs. They are a record of that moment in time and place. At our members’ forums and through sharing how we took the different images we post there, others will be able to learn, we will learn more, and others will be able to give us pointers on the photos we share. That gives us, and more important, You, many opportunities to learn and get some advice, and get recognition on your progress. All the while, giving others that understand a chance to share in those creative moments. By joining our group, These people will become friends and colleagues, plus followers of your successes. OK! A Quick note of what’s been covered here so far; using a lower f-stop lets in more light, therefore you need a faster shutter speed, and also less depth of field is created by lower f-stops like f3.5, f5.6…f8.. and so on… (note: f3.5 lets in more light than f5.6 and less than f8). On the other side of the coin, when you’re taking a picture of a single flower, or a portrait of your favorite people, you’ll want to use a larger aperture (size of the opening in the lens), which is the lower f-stops on the scale. On the opposite side of this, you’ll need a higher number f-stop to let in less light, which at f16 and up, will give you a longer depth of field. Higher number f-stops give you greater depth of field and require lower shutter speeds. It’s a lot to wrap your head around, so by getting out and changing different apertures, and corresponding shutter speeds is the best way to get more familiar with the manual system and begin to really understand it and use it to your advantage. Be creative! This Farm Photo represents a Long Depth-of-field. So, if you are taking a landscape photo to show a farm field with a barn at the farther end, you would use a smaller aperture, which is a higher number f-stop. In this situation, you will probably want an f-stop of f22 or higher. This will cause needing a lower shutter speed, so unless the scene is in the complete full sun in the middle of the day, you’ll want to put your camera on a tripod to keep camera shake to a bare minimum. To the right is a photo I took while taking a drive with my sweetheart, Janet. We had just left from a spring we get water from, near Oldtown, Maryland. When we are out leisurely exploring, or even sometimes on the way to places during the day’s normal travels, I ask her if she minds me stopping to take a photo and she is so supportive of my photography she has almost never minded. Since I was limited to where I could take this image from; I took advantage of the fence being by the road, and used a high f-stop of like f 16 or f22 to catch the viewers eye on the fence to then have to eyes travel the length of the fence to the barn. I used a bit of a wide-angle length on my telephoto lens to give the perception of a little more distance between the camera and fence than there was. For portraits, most professionals use larger apertures of f1.8 to 2.8 and f3.5 when possible to produce bohka, and concentrate the focus area on the subject to make the persons face come alive in the photograph. Again, aperture is how wide an opening the diaphragms make and relates to how much light goes through the lens to enter the camera. By using a low f-stop of f 2.8 to blur out the background for portraits will make the person or and object, such as the flower we mentioned earlier, to stand out and almost jump off the page. If you want the subject to stand out, even more, you can produce more blur to the background of the image by using the blur-tool in a post editing software such as Adobe’s Photoshop CS6 or Photoshop Elements. Now, unless you are a graphics designer or a photographer who has learned Adobe Lightroom and /or Photoshop, or for another reason you may not be familiar with the programs, how to use them, or even why they are good to use and why you’d need them. They really do a whole lot, for a professional they are almost a must; or some other photo editing software like Aperture, which is put out by Apple Computer Software and there are dozens of other photo-editing software’s available. You may not really want to get into editing tools, but to be honest, if you really want to create the best photographs you can you really should at least get Adobe Lightroom and possibly Bridge. Bridge is a file storage system put out also by Adobe, that not only stores your images but lets you move photos and videos throughout any of the many products Adobe makes, that are all available through their Creative Cloud memberships. Lightroom is available separate from Creative Cloud at stores; such as Staples, Best Buy, Office Depot (I think), and others that carry software, but the easiest way is probably to set-up an account with Adobe and order Lightroom separate as a one-time program, or use a package deal with just Photoshop instead of all the other products in the full-blown Creative Cloud lineup. Written by, Tony Ballas., Photographer, writer, publisher and editor. *Also, Buy Awesome Used Camera Equipment from KEH ! Top $ dollar for your used camera gear! /h2> And get 10% off of a KEH” title=”SONY A7 Digital Camera if you buy it here!”> with a trade of Your Used Camera Equipment. 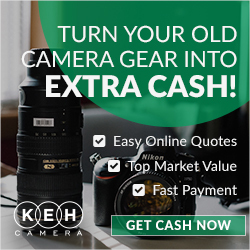 You always have an opportunity for Good to Excellent, and even Like New Camera equipment through KEH camera, and get the Best Price for Your Trade. 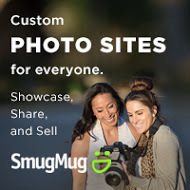 SmugMug is a Great place to store and Sell your Photographs. Get your account Today! 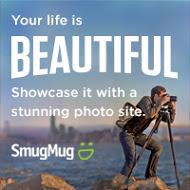 SmugMug! 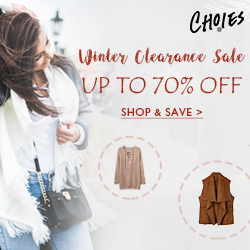 Low to $0.99 for 2000+ Styles Sale at Zaful.com! *Notice: This web page from snapshotphoto.net and all the other pages with advertising uses affiliate programs from different vendors, stores, and web-based businesses. We are compensated from these ads, and you have no responsibility to purchase anything from any ads viewed here, or on any other of our posts, although any purchases Will help to keep the site up and running, and will be greatly appreciated. Again, you have no obligation to purchases anything we advertise. Thank you for your support. Fashion photography, especially in a high fashion themed wedding, is more than capturing a few nice images. The professional photographer must know how to adjust the right exposure, lighting, composition, and instruct the clients on best poses. One must capture the beauty of the subject, as well as the environment, to make a unique piece of art. Accordingly, a wedding shoot has two settings – outdoor and indoor scenery. As usual, outdoor shooting sessions are more demanding, given the fact that the photographer can’t affect the weather conditions and manipulate the surroundings. For this, and many more reasons, a professional could benefit from a few helpful tips. First of all, the beginners should consider taking a course to learn about working with digital cameras. If there is no need for it, and a photographer knows how to handle the manual mode, then the journey of capturing the sense of a themed wedding will be quite easy and exciting. When it comes to fashion and wedding photography, it is important to have a high-quality DSLR digital camera. The reason for this is the resolution. High fashion photography must have a high resolution, as poor image quality won’t be accepted. Every megapixel counts, so make sure to have a camera with at least 20 megapixels or it will not make a big difference over taking pictures with a smartphone. However, it is crucial to have the right lenses for the occasion. An excellent lens for this job includes a fast aperture of f2.8 or lower, with 18-55mm, 17-40mm, and 60-50mm lens types. The fixed focal length lens should be 50mm f1.2/1.8 for low light conditions. High fashion photography always uses the digital editing process to enhance the image appeal. Every photographer must know how to use editing for their benefit. The digital era brought many natural solutions for tricky situations, so today we have plenty of free-to-download editing software tools. For this type of photography, the most widely used software program is Adobe Photoshop. Another editing tool by Adobe many photographers use for all types of photography is Adobe Lightroom. It allows the photographer or the editing technician to batch edit several photos at once; for things like exposure, contrast, vibrance, saturation, removing redeye, and removing shadows, plus adding sharpness, among other things. Although some purists might not like this approach, there is nothing wrong in using a helpful tool to speed up and optimize the process. You can use these tools to fix the lighting, colors, composition, and manipulate the picture until you’ve achieved the desired effect, and make a photo truly stand out. However, you can outsource this job to someone and get professional editing services for a reasonable cost, saving both time and effort. One should pick a camera according to their available budget. To determine the correct choice, consider the difference between a crop sensor and the full frame camera. The rule is – the bigger the sensor, the better the picture quality will be. 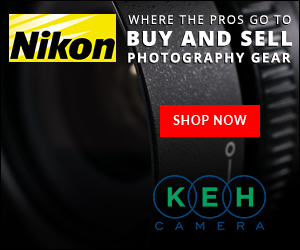 Free Shipping on $399+ at KEH Camera! A full-frame camera is based on a 35mm standard film format, and anything smaller is considered to be a crop sensor camera. The camera with a full-frame sensor performs better under poor lighting conditions and can create a nice bokeh look. The only drawback is that it can be a little bit expensive, especially for a beginner. The cropped sensor camera is cost-effective and can provide stunning photos. Also, the sensor will increase the focal point of the lens. To really capture the wedding theme, a photographer must know how to use the light. If you can’t work effectively with one source, then adding more lights won’t make a huge difference. The whole point of the lighting during a shoot is to create shapes and give depth to the image. When one light illuminates the subject and the background, the picture will look amateurish. The solution is to separate the subject by placing it a few feet away and use a softbox or a flash to have better control over the lighting. The second source of light is usually used to kill the background brightness. So, pay close attention to the exposure and the shades in between. Before agreeing to the work, it is important to have a meeting with the couple. This is an excellent way to get the info on the wedding theme and venue. From there on, a professional should visit the location and take a few practice shots. Also, the soon-to-be-married couple should provide an example of the style and look that they like. What they imagined may not coincide with the idea a photographer has on his mind. Make them send a few pictures and describe the effect they want to see in the images. By knowing the possibilities ahead, one can triumph over any technical hitches. Learning about the set is a job half-done, so once you get familiar with the setting, you will be fully prepared for the shoot. How much do you know about themed weddings? Vintage Wedding Theme – Simple vintage dresses and a bow tie with black and white tuxedos. This means the highlight is on elegance and classical, poetic beauty. Rustic Chic Wedding Theme – An outdoors ceremony with a natural landscape. Classic Romance Wedding Theme – Fit-and-flare with a little bit of drama. An indoor fairy tale with a warm color scheme and a romantic setting. Ethnic Wedding Theme – The emphasis is on the cultural unity and traditions. A big and colorful celebration. Seaside Wedding Theme – The summer season, beaches, sand, and a wedding in the open air. The casual and romantic setting, with a lot of the natural light available. The truth is that luxurious themed weddings and fashion photography shoots are a lot alike. Just compare the financial and time investment in the setting, concept, clothes, accessories, and makeup. Of course, the same is expected in return from a professional photographer. Therefore, to seize the moment and immortalize it gracefully, one should learn from the best and be prepared for all outcomes. Get professional photographic editing done by SmartPHOTOeditors.com and even get old photos restored.